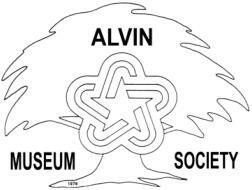 The Alvin Museum Society and Alvin Garden Club are making plans for their 10th Annual Alvin Area Garden Tour set for Saturday, April 18, 2009, from 10:00 a.m. - 4:00 p.m. One of the featured sites will be the buildings and grounds of the Marguerite Rogers House Museum which will also be the location for the ever-popular plant sale. Locations for the other private gardens will be announced in early March. Make plans now to spend the day visiting these lovely gardens. Look for more information about sites and ticket purchases on the blogspot and local newspapers.